We know the Province is looking at new, flexible ways of delivering funding for housing. Many of the details are still up in the air as they continue their consultations on a modernized system, which includes regional sessions with housing providers across Ontario. One thing that is clear – the new framework is likely to shake things up and could potentially redefine the social housing sector. The Province has said that this is not a new social housing program, this is a new relationship between government and providers. “It’s not an easy road. We’re talking large-scale social change,” says leading housing policy expert Steve Pomeroy. 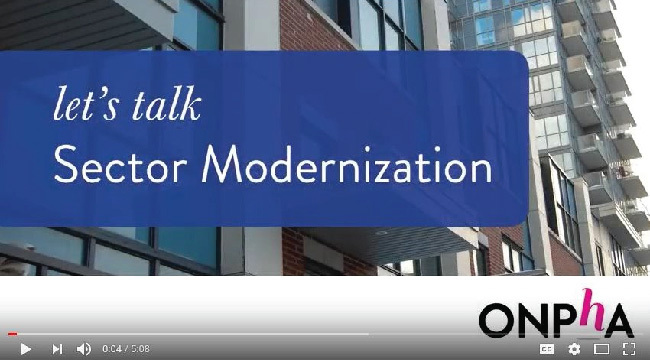 He sat down with ONPHA to discuss what the road to a modernized framework might look like for the community housing sector. Two key ingredients are time and commitment. “We need a commitment from the funders’ side (provincial and federal governments), service managers and housing providers. That’s three agencies that all have to change the way they do things and they all have to line up at the same time,” says Pomeroy.